Stellar Four: How Would Your Fave SF/F Leaders Do in a Presidential Debate? 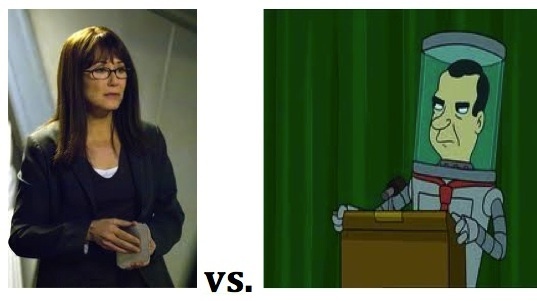 How Would Your Fave SF/F Leaders Do in a Presidential Debate? The presidential debates have taken center stage in the news recently as the candidates spar for votes. But wouldn't this process be so much more interesting if the debaters were our favorite characters from sci fi and fantasy? Read on to see how the various elected officials and members of the nobility from Buffy the Vampire Slayer, Game of Thrones, Doctor Who, The Walking Dead and many more would fare if they actually had to worry about elections. There are some ground rules for these SF/F debates. Like the actual presidential candidates, the contenders would have to sign a memorandum of understanding: no use of magic, no military support from your armies, no weapons on the debate stage. It keeps the playing field nice and even. Both of these men have remarkably similar backgrounds on which to base their campaigns. Both are career military, and both led the citizenry during a time of chaos and violence. Both rallied their troops in the face of insurmountable battle odds with nothing more than rousing speeches. Expect this debate to focus on foreign policy and the importance of funding for the military. 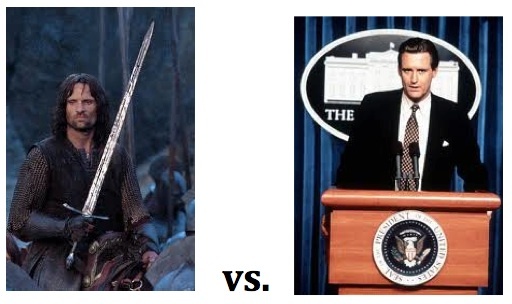 Predicted winner: Aragorn. The Ranger of the North united the different races of Middle Earth in pursuit of victory. Pullman pretty much sticks with United States. This is a battle of crazy versus crazy. Loki, an Asgardian prince, grew up with a wicked inferiority complex combined with a massive sense of entitlement and a lust for power that defies common sense and logic. The Master is a renegade Time Lord driven to madness in his youth after staring into the time vortex. 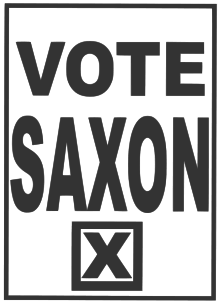 He assumes the identity of Harold Saxon to become prime minister, then immediately subjugates all of humanity. This debate would feature plenty of screaming, crazy eyes and scenery chewing. It would be awesome and a little frightening. Predicted winner: Loki. He out crazies The Master. Also, there's no way he would actually follow the rules outlined in the memorandum of understanding. He would totally zap The Master with every speck of magic he can conjure at the first opportunity. Both of these people put only the most cursory effort into appealing to the public. 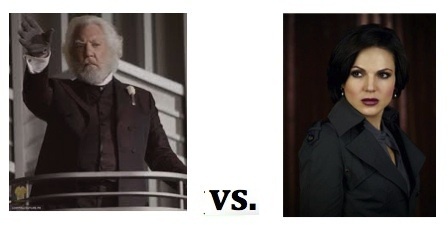 President Snow has been the tyrannical ruler of Panem for 25 years. Let's be honest: He's not happy to be "debating" or "running in a democratic election" or "discouraged from murdering likely voters." This grumpiness will show through in his answers. Regina used the Dark Curse to send the residents of Fairy Tale Land to Storybrook, and she harbors an inexplicable grudge against the actions of a naive 8-year-old child. This pettiness will also be obvious to the debate audience. Predicted winner: Nobody. Both are such mustache-twirling villains that they spend the whole time insulting each other and alienating the audience members, who quietly gather their coats and exit the hall mid-debate. Leia's a war hero who can use her military experience to her advantage. A member of the Imperial Senate (and a Rebel spy), she has experience in diplomacy and subterfuge. Irulan has Bene Gesserit training, which gives her superhuman powers, including a Voice that allows her to control the actions of others. However, she's not a very skilled Bene Gesserit and doesn't use her abilities to their full potential. Predicted winner: Leia. She appeals to both the elites and the working class. OK, yes, Hand of the King isn't an elected position, nor is it a noble title. However, the Hand acts on behalf of the king, essentially becoming the person with the power to make decision on behalf of all the citizens of Westeros. As a dwarf, Tyrion faces challenges from those who underestimate and mock him. Yet over and over, he wins the day (and wins over would-be enemies) with his wit, clear thinking and clever plans. In a debate setting, his silver tongue and clever mind will always triumph over even the most mundane questions and the most well-prepared opponents. Predicted winner: Tyrion. Tyrion wins all of the things. President Roslin is a schoolteacher who became the president of the Twelve Colonies by default. She quickly learns on the job, making tough decisions and becoming cold-blooded in her reactions to Cylons and traitors, airlocking offenders left and right. President Nixon is a career politician who became president of Earth after his preserved head is placed in a jar. He was suspicious and agressive and paranoid in life with his body; life in a jar is little different. Predicted winner: Roslin. She can mix the hardline approaches to terrorism with empathy that befits her earlier teaching career. Plus, Nixon's 5 o'clock shadow is a visual turnoff for voters. Bill, a vampire, is the king of Louisiana. He's known for his syrupy drawl, his self-righteousness, and his lack of a sense of humor. Tybalt, a member of the cait shidhe, is a king of cats. He's know for his suave charm, good looks and fierce fighting skills. When it comes to debating the issues important to the supernatural community, some humor and an easygoing attitude go a long way in persuading the undecided voters that you're the man — or the cat — for the job. Predicted winner: Tybalt. The king of cats oozes charisma. Bill is a black hole where charisma cannot hope to escape. *Please note: Tybalt doesn't appear in many photos. This approximation from The Telegraph will have to do. Those of you who haven't read the Walking Dead graphic novels haven't met the Governor yet. But you will. Oh yes, you will. And when you do, you'll understand why his campaign against Mayor Richard Wilkins will be such a close one. Both men keep tight control over the towns they run in an effort to minimize the damage caused by the violent and dangerous entities that stalk their streets and rattle their border fences. And both men display a veneer of charm that covers the many, many secrets they're keeping. Predicted winner: Too close to call. If Mayor Wilkins abides by the terms of the memorandum and refrains from turning into an enormous man-eating snake, it should be an evenly matched debate. In the end, though, whoever wins, we lose. Conan, the Hyborian warrior, took the throne of Aquilonia through brute force. But opponents tend to look at his massive size and underestimate his intelligence and cunning. His life has been spent traveling, and he's multilingual, which allows him to understand the plights of the diverse people in the electorate. Like Conan, Dejah Thoris is an intelligent and skilled fighter, and her tendency to be captured by her enemies has given her an understanding of the art of diplomacy and negotiation. Predicted winner: Dejah by default. As Conan is gesturing to emphasize a point he has made about stiffer penalties for cruelty to animals, he accidentally backhands the podium. 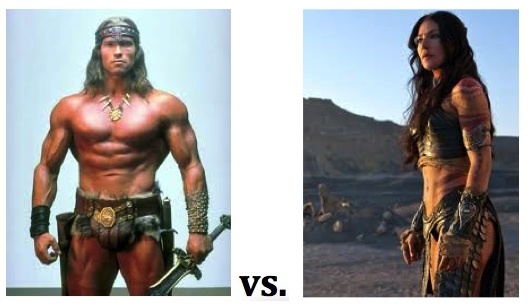 Since the debate is on Barsoom, Conan's already legendary strength is enhanced, and the podium flies into the audience, knocking several observers unconscious. He immediately withdraws from the race. Dizzyingly intelligent. Chronically impatient. Cold. Arrogant. Does not suffer fools. Sherlock has the brains to govern, but does he have the temperament? Predicted winner: Literally anyone else on Earth. Look, we all know that Sherlock is the most brilliant mind around, and he can outthink everyone. However, if he even bothers to show up for the debate (which is doubtful), he'd spend his whole time insulting his opponent's intelligence and announcing that he's bored. That's no way to win an audience. Sherlock can solve crimes. He can't win voters' hearts. So what do you think? Would you predict a different outcome in any of these match-ups? Any other SFF characters you'd like to see in a political debate? thanks for this great film.